Ever wonder how people dealt with bacterial or viral infections before the discovery of Penicillin and similar antibiotics? Quite simply, they turned to nature for their remedies, and thankfully there are plenty of natural ways to deal with infections. We are not suggesting you never take another prescription antibiotic, as they are very necessary in a lot of cases. 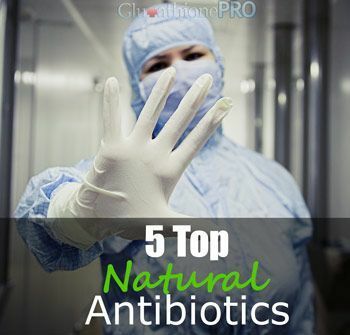 We are just exploring some of the top natural antibiotics that can help keep your body infection free. Many people have turned to natural alternatives to prescription antibiotics, due in part to the growing concern of over-prescribing antibiotics and breeding super bacteria. The fear is that bacteria will grow and evolve past the abilities of modern medical science, and it is a legitimate concern. Humans have been threatened by bacteria and viruses for thousands of years, and in many cases we are capable of dealing with them naturally. 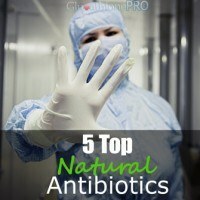 Here are a few of the best natural antibiotics. Part of the onion family, garlic has been used to help treat all sorts of illness’ and diseases throughout history. It contains a compound known as allicin, which has similar properties to penicillin. This has fortified its position in natural medicine, with antibiotic, anti-viral, anti-parasitic, anti-fungal, anti-inflammatory and antioxidant qualities that have helped treat disease and improve health for millennia. If garlic isn’t your cup of tea, or you have a hot date and don’t want to ruin your first impression with garlic breath, try a garlic supplement instead. These multi-layered bulbs of deliciousness do quite a bit more than add a wallop of flavor to your favorite dishes. Onions have powerful antibacterial and antibiotic capabilities that can help fortify your body against infection and disease. They have been used throughout history for respiratory problems, as a diuretic and even as a treatment for the influenza virus. Much like garlic, it is important to keep onions as raw as possible to maintain the nutritional and antibiotic properties. They are also known to wreak havoc on your breath, so eat responsibly and hopefully frequently. Nectar of the gods, this is one food-stuff that has a seemingly endless shelf-life. Jars of honey have been found in the tombs of ancient egyptian pharaohs, still edible! (The honey, not the pharaohs). Honey not only has natural antibiotic qualities, but antimicrobial, anti-inflammatory and antiseptic qualities as well. Much like garlic and onions though, raw honey is the best option when looking for these health benefits. Pasteurization eliminates much of the antibiotic and antioxidant qualities found in honey. Use in moderation though, it is still packed full of sugar, natural or not you don’t want too much sugar in your diet. Slice up some fresh ginger and add it to your cup of tea to create a delicious and healthful tonic. One of our favorite uses for ginger is to help quell an upset stomach. When ingested it gets to work fast on the vagus nerve, which is usually responsible for nausea and general stomach discomfort. For quick relief just chew on a small piece of raw ginger or finely grate some into a cup of hot water. While bacteria and viruses ramp up the arms race, it still seems that many of these natural antibiotics are still quite effective in eliminating them from our body. Typically, when a person encounters an infection they visit their doctor. Generally they are prescribed an antibiotic and the infection clears up within a few days. The problem is difficult to see, but it is there. It is an arms race between science and mother nature, which has only one outcome. As we mentioned earlier, sometimes it is necessary to take a prescription antibiotic. Only using these antibiotics when necessary is the key, opt for natural alternatives whenever possible. Always work closely with your doctor or medical professional when dealing with an infection though, whether you choose natural or conventional methods, it is important to keep your doctor involved in the treatment process.